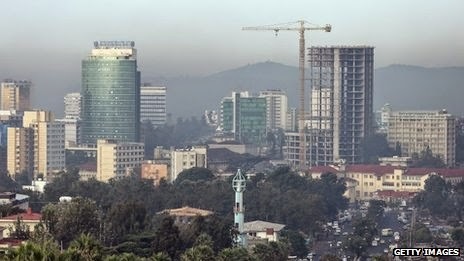 The 47-year-old male tourist was shot with a rifle in the north-western city of Bahir Dar, AFP quoted a government spokesman as saying. A suspect has reportedly been arrested. The body has been taken to Addis Ababa for a post-mortem examination A Foreign Office spokeswoman said: "We can confirm the death of a British national in Ethiopia." Government spokesman Shimeles Kemal told AFP the suspect had not known the gun - an "old rifle" - was loaded, and the incident happened in a church on the morning of Christmas Eve. He said: "It appears that a resident of Bahir Dar, who was licensed to carry a gun, accidentally discharged his gun while changing the gun position from one shoulder to the other."